CAE today announced that it has submitted its bid for the Contracted Airborne Training Services (CATS) program to the Government of Canada. CAE has teamed with Draken International, operator of the world’s largest fleet of privately-owned fighter aircraft, to offer Canada’s Department of National Defence (DND) a comprehensive and world-class service for adversary and threat training, electronic warfare and target towing operations. CAE and Draken have formed a Canada-based joint venture company that would operate the fleet of aircraft and have responsibility for delivering the combat support training services to the Royal Canadian Air Force, Royal Canadian Navy, and Canadian Army. 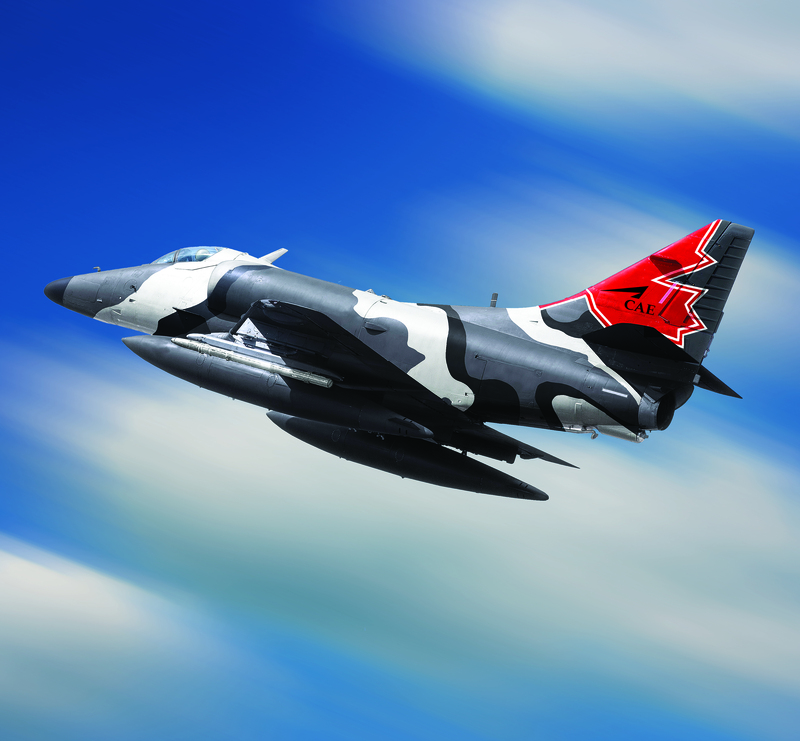 The CAE and Draken team have proposed a fleet of Douglas A-4 Skyhawk fighter aircraft to support the CATS program. The fleet has had extensive upgrades and now delivers capabilities similar to Canada’s CF-18 fighter aircraft they would be training against. CAE and Draken have also proposed a comprehensive research and development program aimed at developing the next-generation live-virtual-constructive (LVC) training capabilities for adversary and aggressor air training services. The Contracted Airborne Training Services for Canada’s DND are delivered in locations across Canada, primarily Victoria, British Columbia; Cold Lake, Alberta; Bagotville, Quebec; and Halifax, Nova Scotia. The Government of Canada expects to award a 10-year contract to the successful bidder by the end of calendar year 2016.